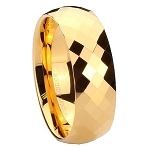 This 3mm 18K Gold Tungsten Carbide Ring has over 288 faceted edges that makes this ring look very expensive! I am one of those people for whom wind-up watches never run. My body has a particularly strong magnetic field, and rings made of anything magnetically conductive either make my elbows hurt (that's where the finger tendons go) or dissolve into their base metal components and leave green powder on my finger. I have been wearing this ring now for a week without taking it off to sleep or bathe. It is totally nonreactive to my body. Being made of the stuff they coat drill bits with, I can understand why it never seems to scratch. The sizing runs a bit small, my 7.5 is more like a size 7.33, but that's good for me because sevens make my finger swell and seven point fives slip off when I wash my hands. They'll exchange yours if necessary without argument. Love this ring, absolutely fabulous. 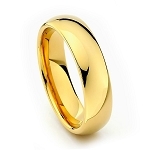 I do not like wearing rings and this ring is perfect because it is light and thin. Very expensive looking! Love it! Months ago I bought this ring in the 8mm width for my husband. We both loved it and ever since I wanted one for myself. 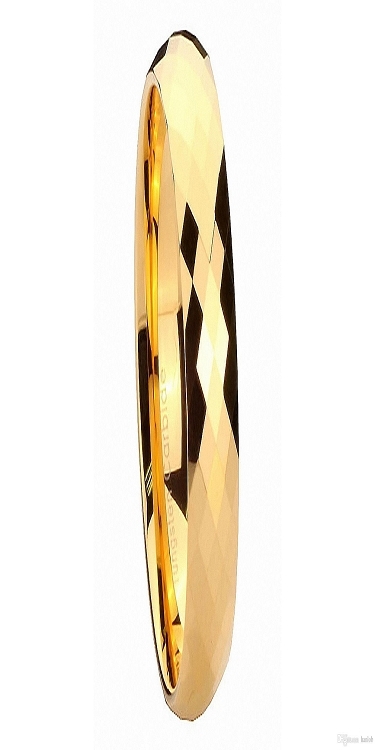 I wear it on my middle finger and have had several people rave about it. The facets reflect the light beautifully, I couldn't be happier. This ring looks wonderful,shipping was great . no complaints. Second rind!, Great!! Fist ring was great so ordered another 17.5 which is a half size smaller than the first. USPS lost the order after 3 weeks called and had a replacement in 4 days!! Finally got the 1st one I ordered 10 days or 41 days after it was sent! Refused it and hope it gets back to them quicker than it got to me, GREAT SERVICE!